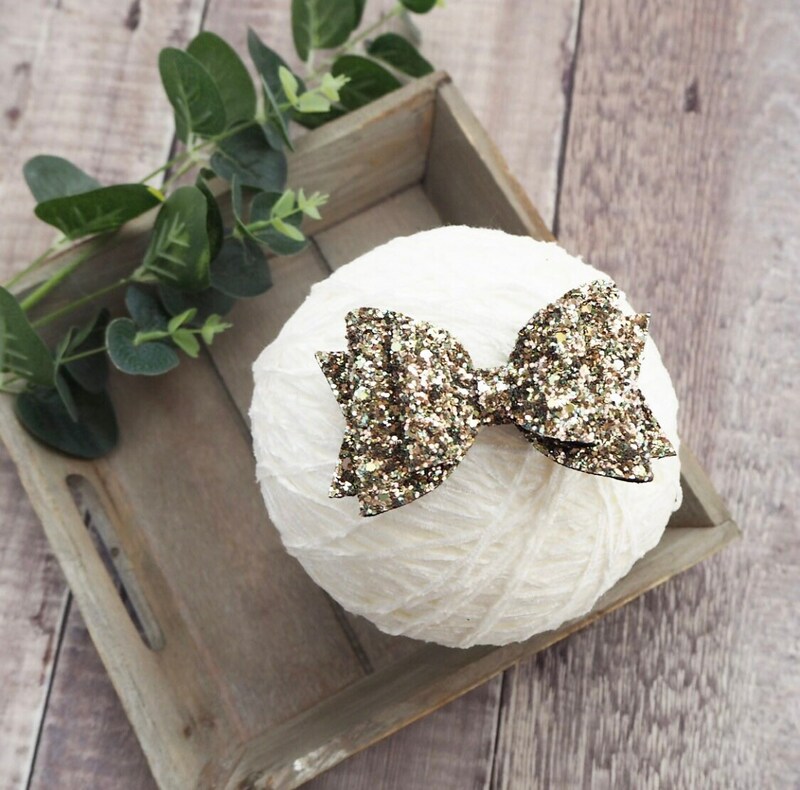 Our stunning double Belle shaped bow is here in the prettiest of autumn glitters! 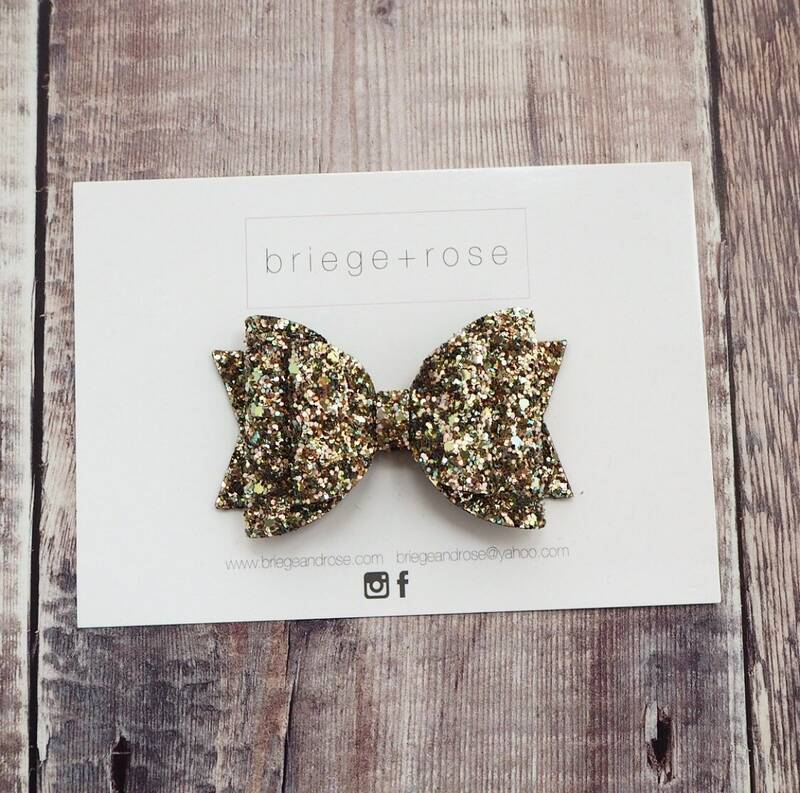 Featuring shades of gold and bronze, this bow is prefect for this seasons hair styles and is really eye catching. Comes on a clip or a band and is approx 3.25"
To fulfil your order, you must provide us with certain information (which you authorised Etsy to provide to us), such as your name, email address, postal address, payment information, and the details of the product that you’re ordering. 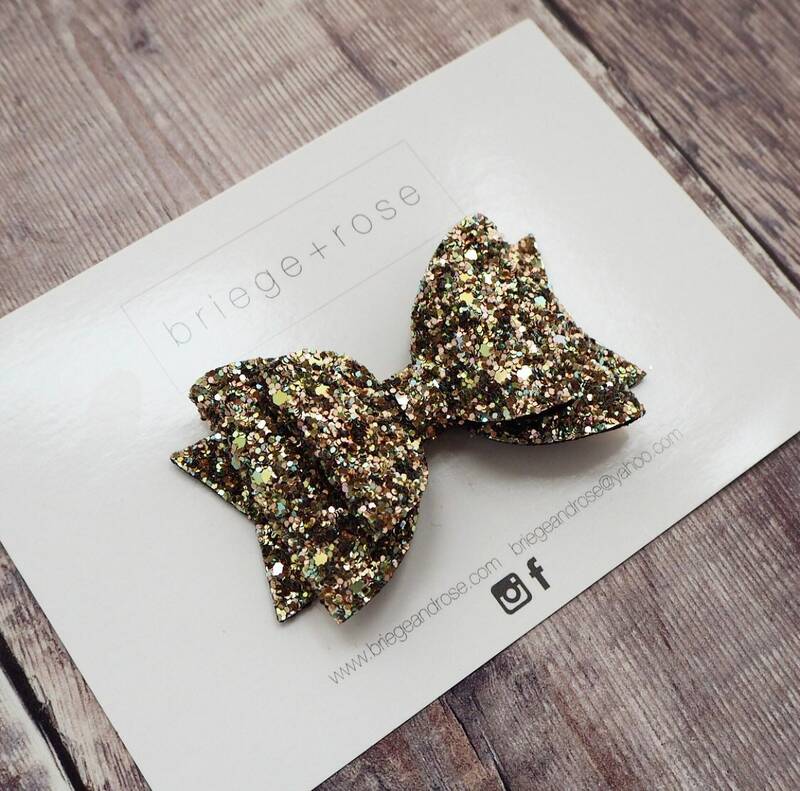 You may also choose to provide us with additional personal information (for a custom order of bows, for example), if you contact us directly. 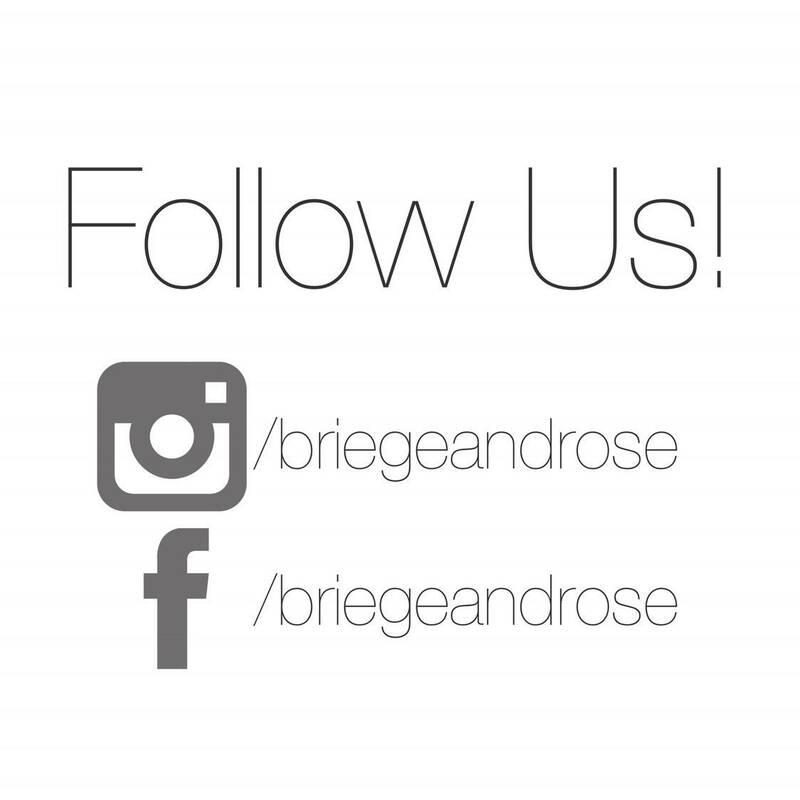 What headbands do you use and what size are they? 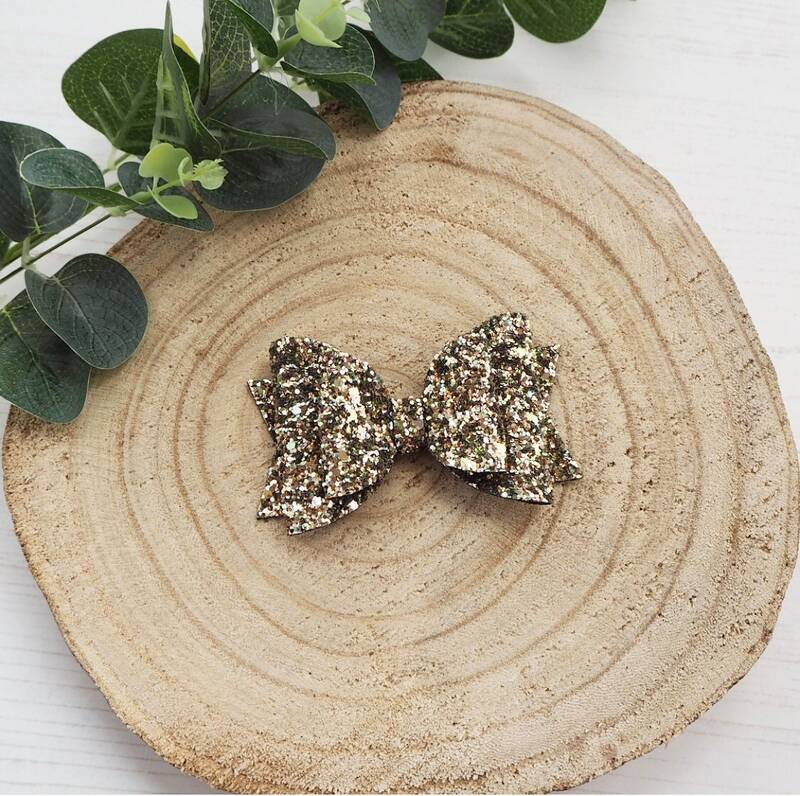 We use 'nylon' headbands for our hair accessories which are not only super soft to help prevent red marks but they also keep their shape and size. 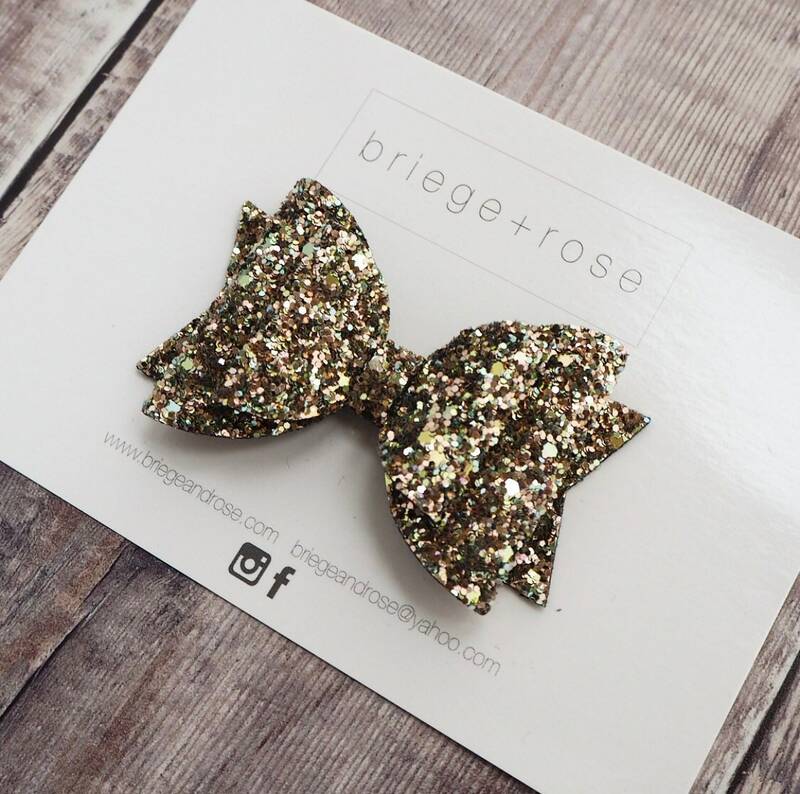 They are a lovely fit on newborns and they will stretch to grow with your child so they can continue to wear their bow as they get older. The bands even fit adults! They can also be used as hair elastic if you wrap them round a ponytail. We always try to match the bands colour wise so if you'd rather a different colour was used, please do let us know when ordering. 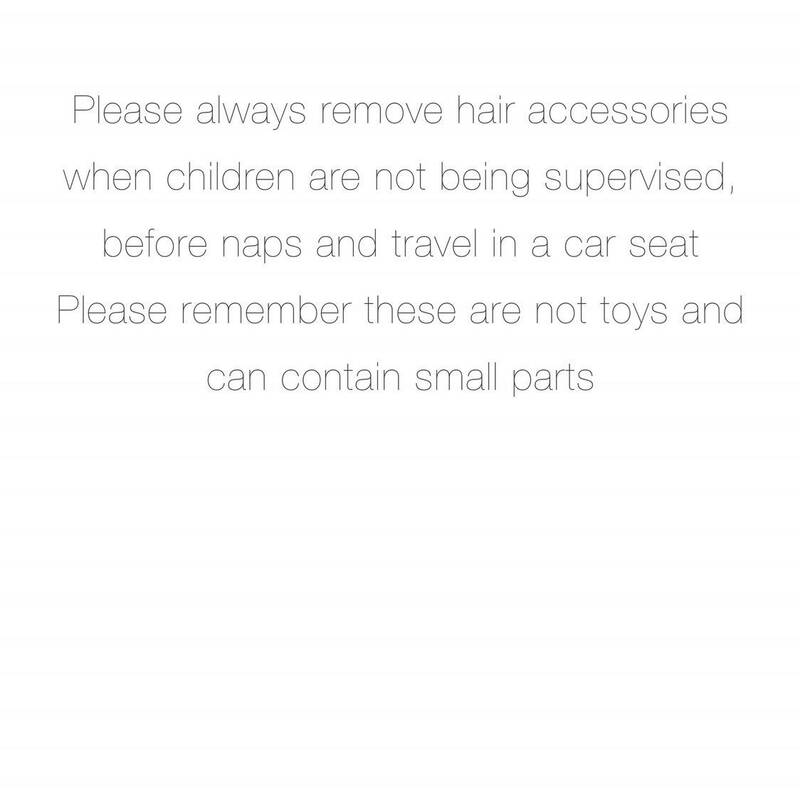 For safety, please never leave your child unattended with hair accessories. Remove before naps, car journeys, bedtime or in the stroller if you are unable to see your child. Is tracking available for my order? 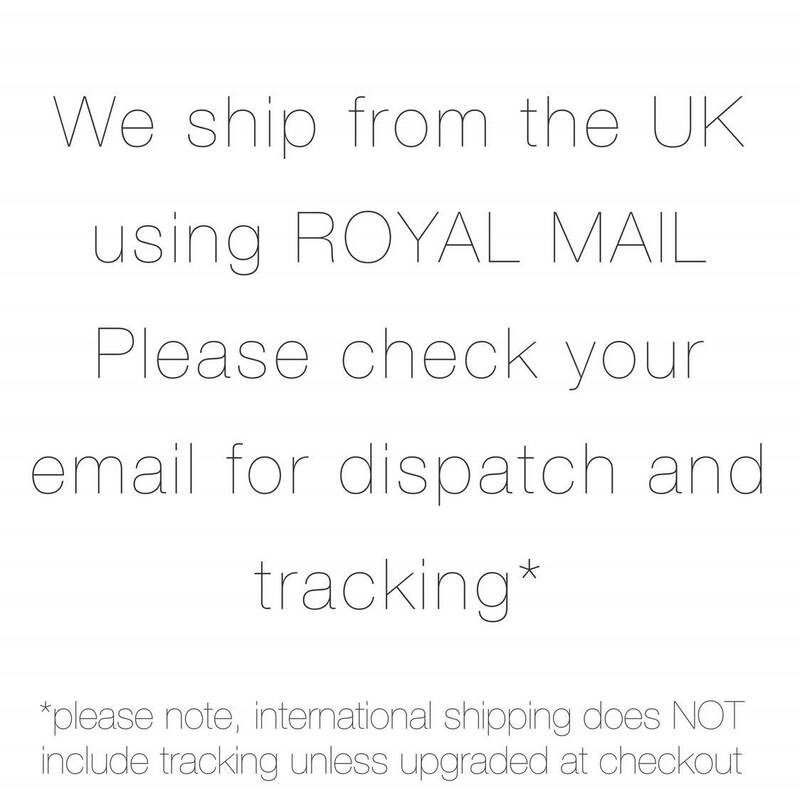 If you are UK based we send using Royal Mail Signed For and when we dispatch your order, we will include the tracking details in your dispatch notification email. 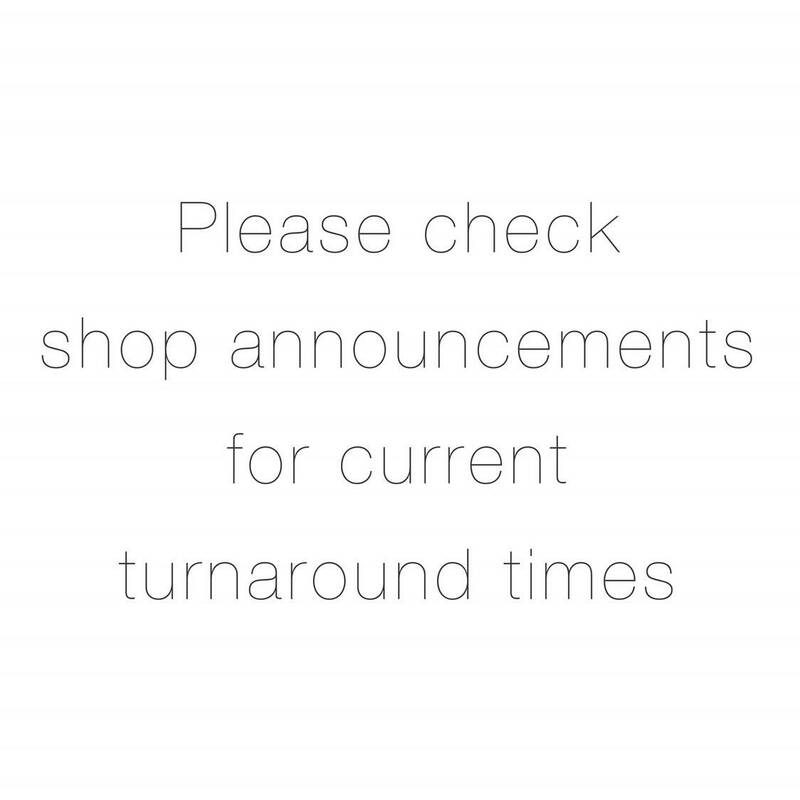 If you are outside of the UK then taking is NOT included as standard and if you require tracking you will need to upgrade your shipping at the checkout. What if I need to return my item? Please contact us for details about returning your parcel within 14 days of receipt. If you are returning items to us from outside of the UK, they must be returned in original packaging with the UK CN22 showing and marked 'RETURNS'. Any customs charges incurred by not following these instructions will be deducted from your refund. If the refund does not cover the customs charges, your parcel will not be collected and it will eventually be returned to yourself. What if I don't collect my parcel? If your parcel has been returned to us because you did not call for it at the post office using your red card, postage will need to be paid to send the items back to you a second time. You can pay this using PayPal, please contact us for details if this is necessary.